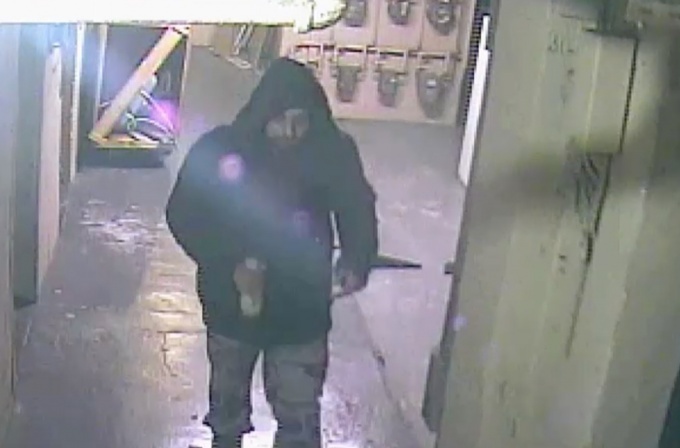 Police are searching for a man who broke into an Astoria building and made off with electronics from a storage room in a burglary last month. The unidentified man entered a building near 33rd Street and 34th Avenue through an unlocked door at around 9:30 p.m. on Jan. 7, and made his way to the basement storage area, also unlocked. Once inside, he stole a Vizio television and a Samsung tablet, and fled through the front door in an unknown direction, police said. The suspect is described as white or Hispanic, around 30 years of age, and about 5 feet 7 inches tall. He was last seen wearing a black hooded winter jacket, camouflage pants and black sneakers.